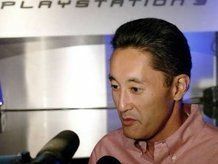 PlayStation head Kaz Hirai has once again hit out at the Xbox360. He's insistent that Microsoft's console lacks longevity and confidently stated that the PS3 will end up on top when the dust clears in the battle of the consoles. Hirai, the Chairman of Sony Computers Entertainment, told Official PlayStation Magazine that he still feels Nintendo's Wii is not a competitor and reserved his vitriol for rival Xbox 360. "It's difficult to talk about Nintendo because we don't look at their console as being competitors," said Hirai, as reported on CVG. "They're a different world and we operate in our world - that's kind of the way I look at things." "And with the Xbox - again, I can't come up with one word to fit. You need a word that describes something that lacks longevity. "Last time I checked, they've never had a console that's been on the market for more than four or five years and we've committed to a ten year life cycle, so you do the math. "And unless things go really bad," added Hirai, "there's no way that at the end of a lifecycle our competition is going to have a higher install base." Of course, much of the talk of console wars is looking a little redundant now that the idea of a single console dominating has seemingly been consigned to the past. Although sales of the PS3 have perhaps not been as blockbusting as Sony executives hoped, the popularity of the console is growing steadily. The Xbox360 has also steadily expanded its install base since inception. Hirai's comments will no doubt be seen as slightly sour grapes in the current climate – but although the constant slurring of rivals may be increasingly meaningless, the chances are that it won't be the last time that someone feels the need to throw stones.